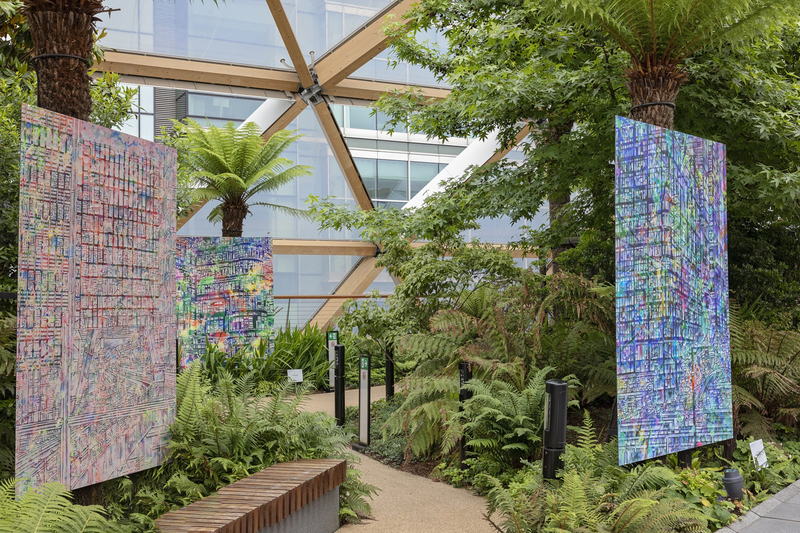 Crossrail Place [June 1 - 30] Debbie makes colourful deconstructed artworks of cityscapes, all office block panes and towering facades. In amidst are hints of office workers, clouds and buses, but mostly this is about hundreds of spangly geometric windows. Her giant hoardings are looking good across the flowerbeds in the garden atop Crossrail Place. The lunchtime gym class taking place alongside made appreciation a bit tricky, but eventually they picked up their towels, switched off the Prodigy and sweated back to their desks. July 2008 'Empty Speech Bubbles' 'With the kind permission of Modern Painters, we reproduce here Geordie Greig's excellent profile article on Sarah Raphael's foray into abstraction. 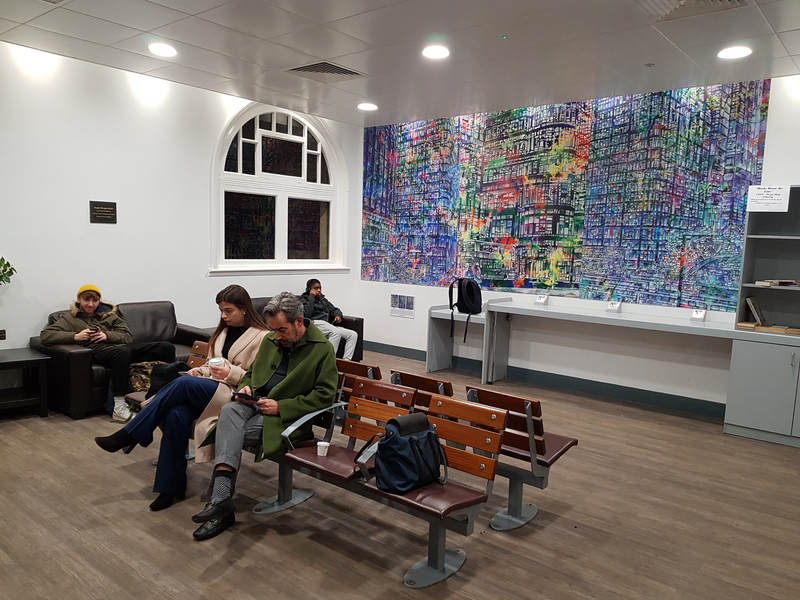 The painter's statements about her own work and its evolution are particularly interesting in relation to Debbie Ayles and Klaus Podoll's articles introduced in 'Headaches'.